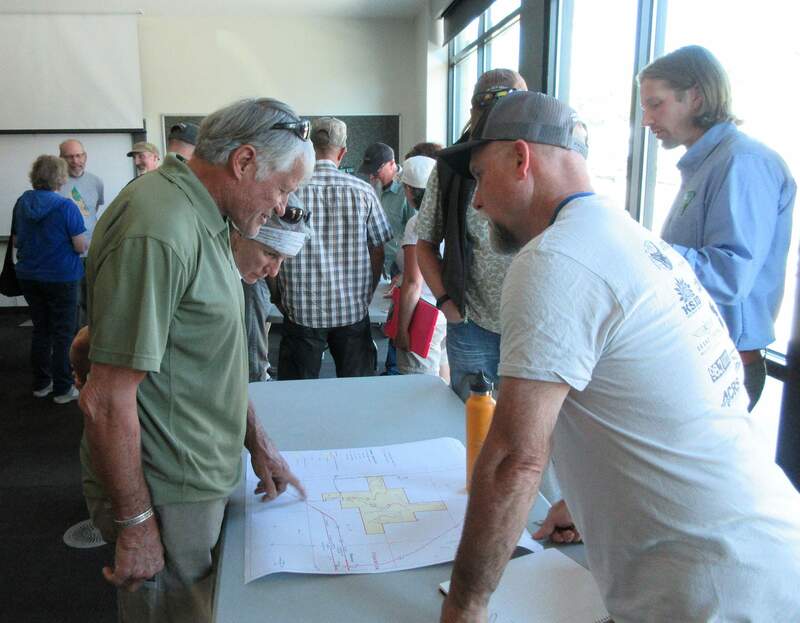 Residents gather around maps showing new trails and access points to BLM lands at the Mancos Library on Tuesday. Robert Myer of the Mancos Trails Group explains a proposal to add 13 miles of trails in the Aqueduct area, a BLM parcel 1 mile northwest of Mancos. The Aqueduct parcel of the BLM has a proposal for new nonmotorized trails. The Bureau of Land Management is considering proposals for additional trails and parking lots on public land in the Mancos area. 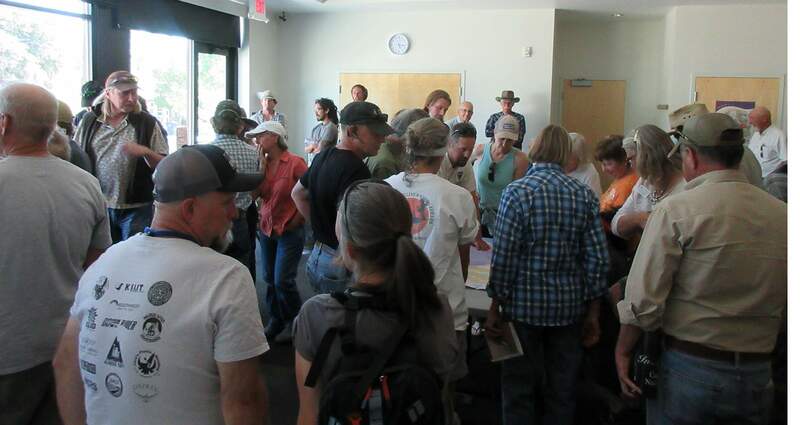 Abut 50 residents attended a community meeting to view maps and get information from BLM recreation staff. The process is part of an ongoing Travel Management Plan being developed for the Tres Rios District covering Montezuma, La Plata and Archuleta counties. Recreation planner Keith Fox said the BLM is gathering ideas in Mancos, then will develop a proposed action for public comment later this year, a process called scoping. The two areas with interest in Mancos are developing a 13-mile nonmotorized trail system in the Aqueduct Parcel northwest of town, and installing a parking area off Road 41 south of town where the road crosses BLM land between the Menefee and Weber wilderness study areas. The Mancos Trails Group has advocated for the new trails at Aqueduct for many years, said chairman Robert Myer. Access would be off County Road 39, and proposed trails on the 800-acre parcel would be easy to moderate, rolling through piñon-juniper forest. The area is open to hiking, biking and horseback riding, but there are no developed trails currently, and access to the public lands is not signed. The group worked closely with the BLM on trail location to avoid cultural sites, he said. A big benefit of the proposed Aqueduct trails, are their proximity to town, said Michael Grajeda. Currently, the nearest backcountry trailhead is 6 miles away. 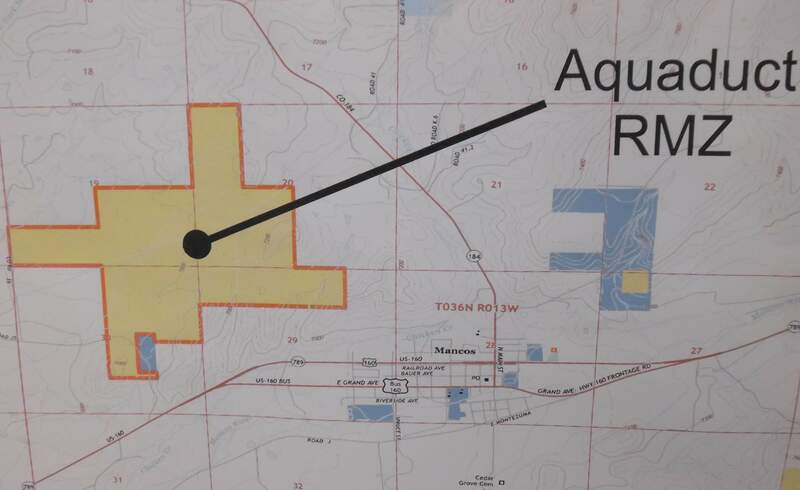 The other proposal submitted to the BLM asks for a parking area big enough for horse trailers on Road 41 where it crosses BLM land 5 miles south of Mancos. The road provides nonmotorized, backcountry access to the Menefee and Weber wilderness study areas, which have no developed trails. There are no plans for new trails in the wilderness study areas, just a proposal for a parking area, said Connie Clementson, Tres Rios Field Manager for the BLM. “Public lands are available to the public, and our job is to support access for people,” she said. The BLM looks for the connection between public roads and public lands, such as the Road 41 site. There are three areas where Road 41 crosses BLM lands, but there are limited places to park along the narrow road, and inadequate signs indicating where public lands start and end. But residents along Road 41 oppose a parking area, saying that encouraged access to the BLM wilderness study areas will increase traffic on the narrow rough county road, lead to additional trespassing, and create erosion. Neighbors signed a petition against the proposed parking area, said resident Nancy Argo. One of their concerns that additional backcountry use of the wilderness area will cause additional erosion onto Road 41. They said that installing a parking lot where BLM provides access to both wilderness study areas on the east and west sides of the road is not practical because of steep ravines and ditches. The improved parking area on Road 41 was proposed by the Mesa Verde Backcountry Horsemen. The group advocates for improved parking for horse trailers wherever there are access points to public lands, and feels they have been displaced by some areas such as Phil’s World, which is dominated by mountain bikers. “What I like about the Road 41 access is that it provides an opportunity for a true wilderness experience where we can explore by horse or foot without trails and be away from civilization,” said Tif Rodriquez.